If you are a wholesale customer and wish to use Tend Skin professionally, and /or to retail it, please call me toll free 1-877-564-3733(Canadian). Outside of Canada call 1-250-564-3733. Fax Me at 1-250-564-6540 or email me tendwc@direct.ca, I will be happy to hear from you and assist you. 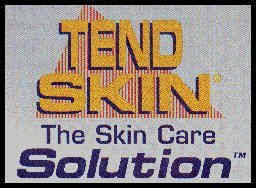 I am elated to be able to bring Tend Skin to you. Finally a product that really works. Thank you for ordering TEND SKIN.